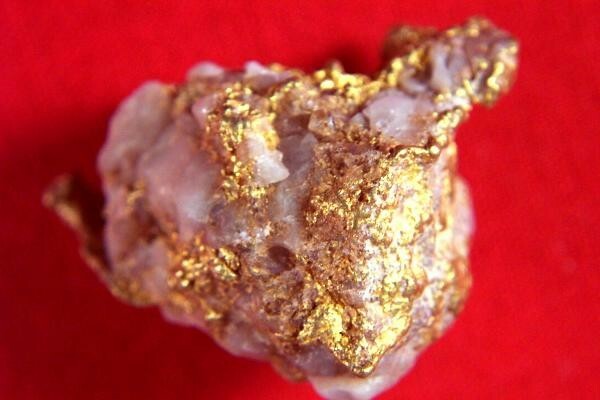 This 21.9 Gram Australian Gold Nugget in quartz is loaded with gorgeous crystalline gold. 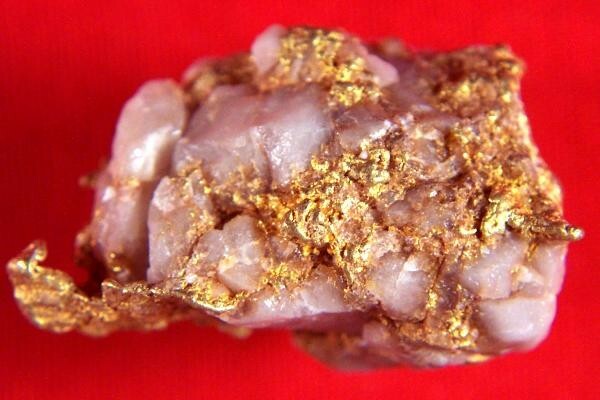 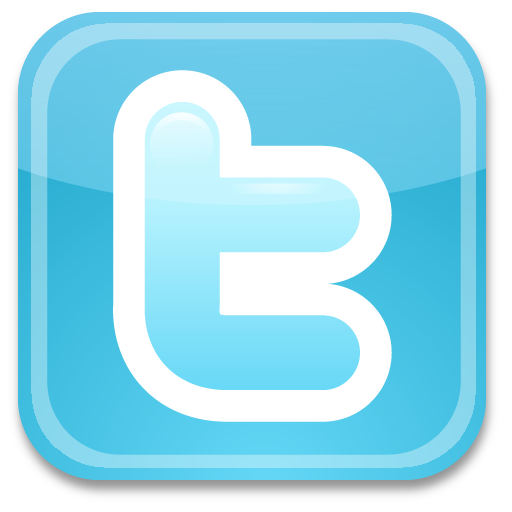 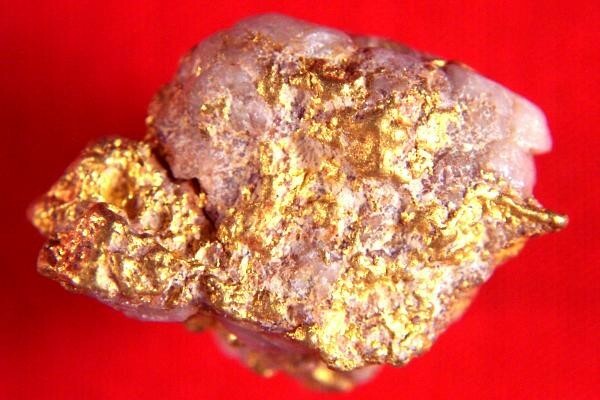 This gold specimen would look great in any gold collection and makes a great investment as well. 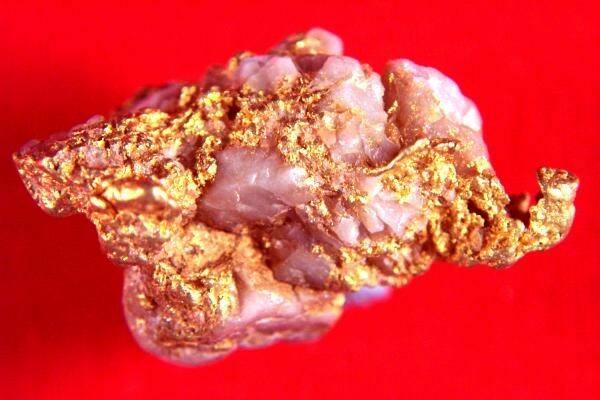 High quality gold in quartz specimens like this are quite rare and my selection is second to none. 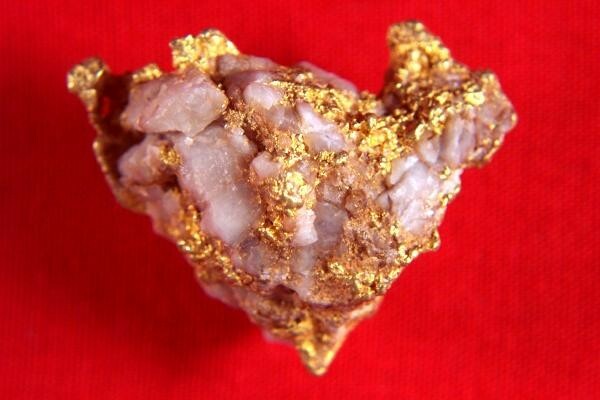 The size is 1" x 7/8" x 3/4", and you will be delighted to hold this hefty Australian gold nugget in quartz in your hand.